We've carried out several major updates to the site over the years, including rebuilding it in 2011 to take advantage of Drupal's powerful search functionality. 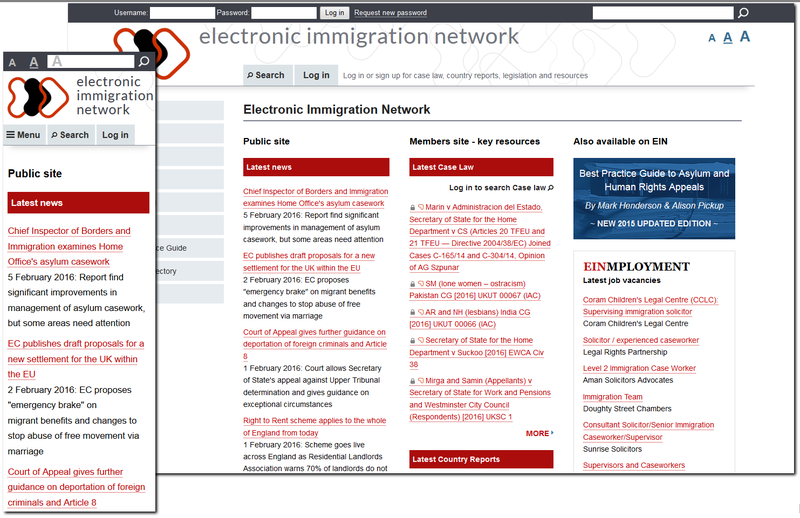 The site now houses over 200,000 documents comprising several complex dynamically updated databases of legal material in areas such as legislation, case law reports, country reports and online legal resources. The site uses membership management systems and secure access, and allows subscribers to avoid information overload by using an innovative bundle-maker which enables them to file documents or excerpts in personal online "bundles" as they browse the site. This year we have implemented a responsive design, bringing the site design right up to date and making it compatible with the huge variety of devices and screen sizes used to browse the web these days.